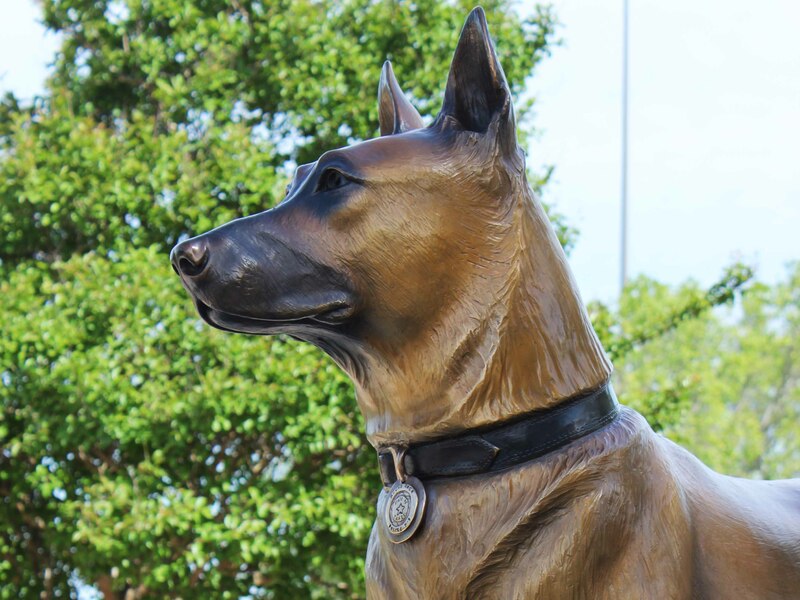 The proud, ready stance of a cinnamon-colored K-9 draws in viewers to honor these hard working dogs. Sheer powerful musculature is evident in every well-defined line, angle and curve. 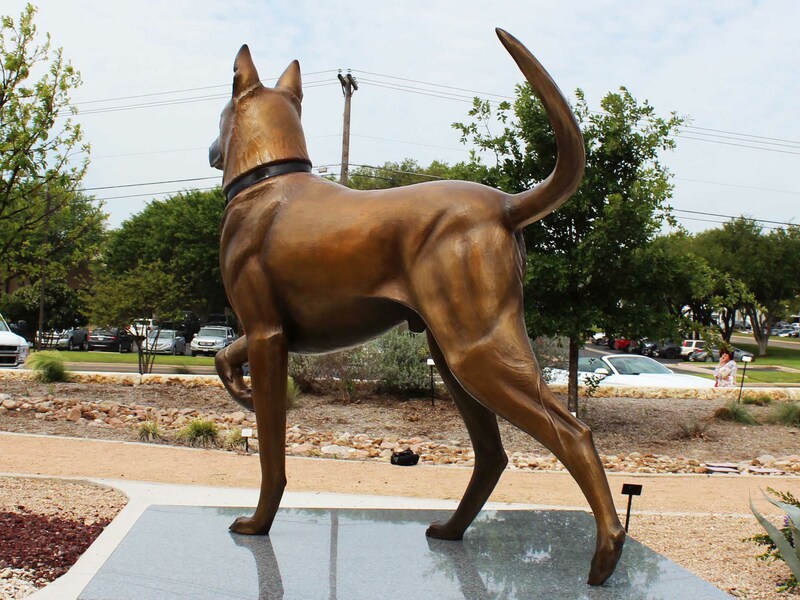 Brought to life with sleek coat, alert ears and sharp eyes, this animal becomes more than a four-legged friend. 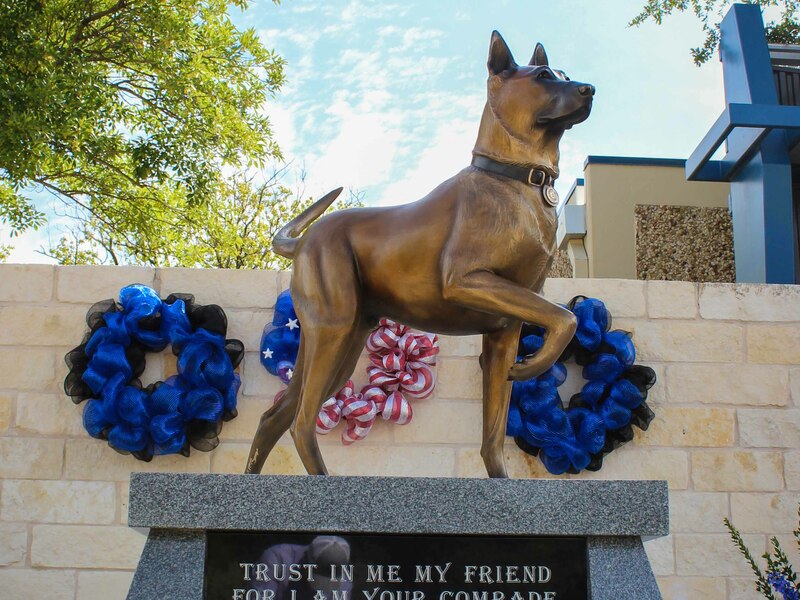 It is, indeed, a loyal partner and companionable guardian. 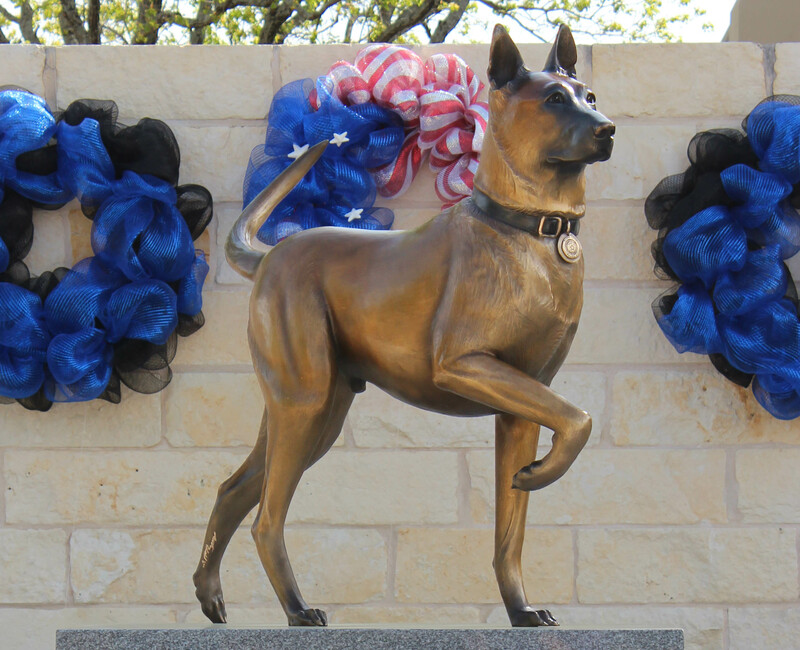 Recently installed, the new Round Rock Police K-9 Memorial is one of my latest sculptures recognizing the importance K-9’s play in law enforcement and fire detection. I felt truly privileged to be chosen for this commission. 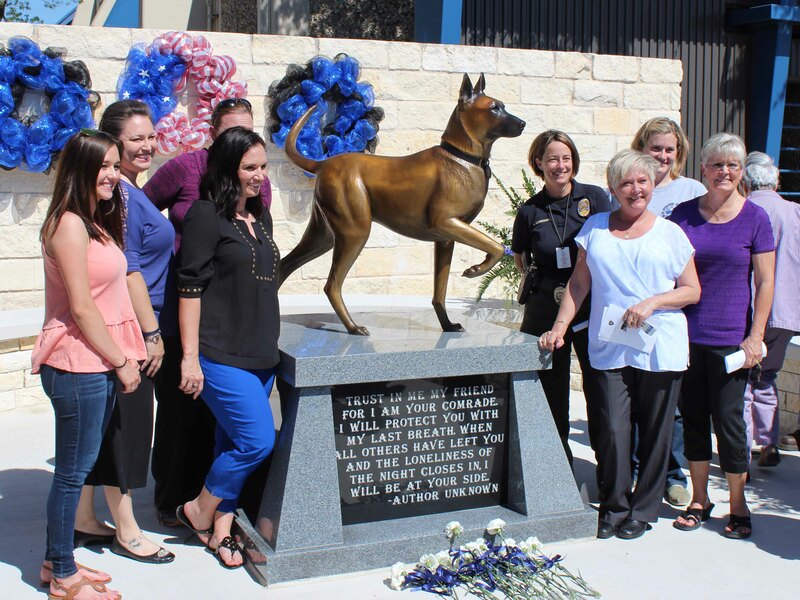 After meeting with many current and past K-9 handlers in the Round Rock, TX police department, I was simply blown away by their intense dedication to fundraise for this sculpture. 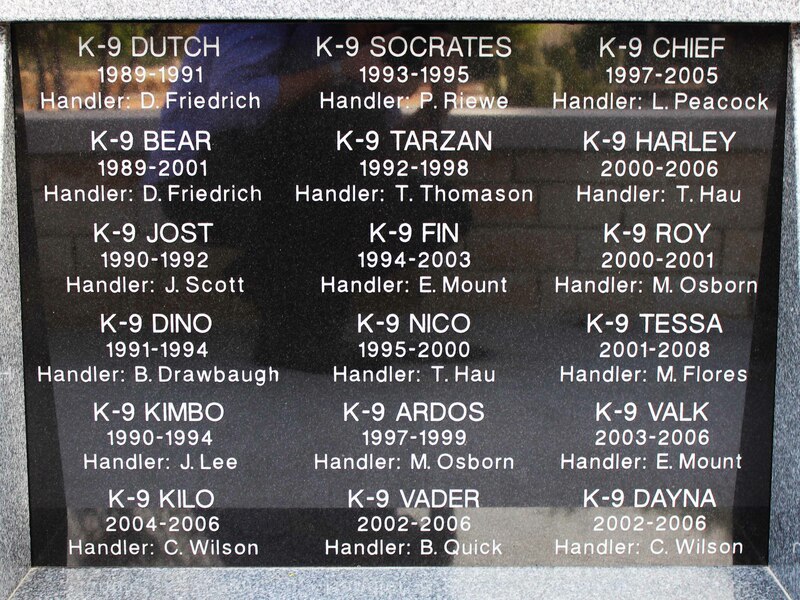 In this way, they honor canine team members who do not necessarily become noble through birth, but instead through training, devotion and commitment. 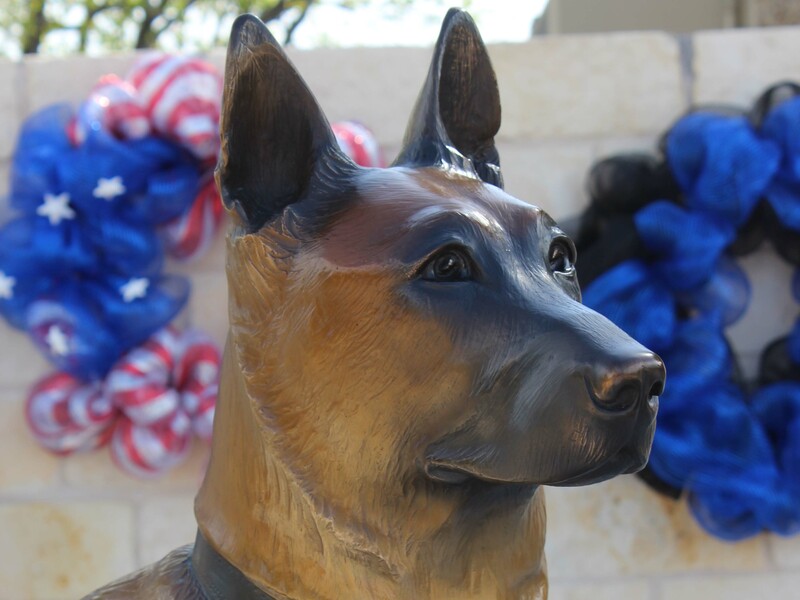 The sculpture itself took over 400 hours to create, mold and bronze, turning a piece of art into a one of a kind life-size memorial. 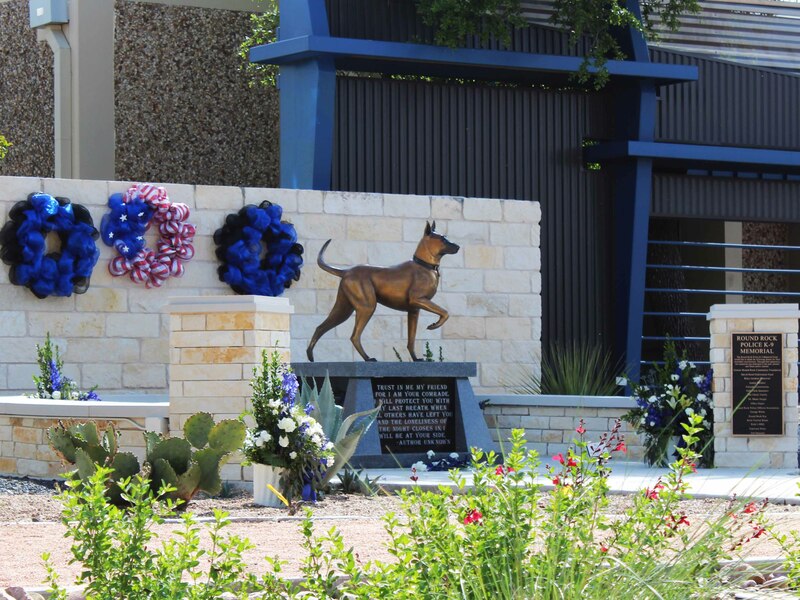 Ashes from past K-9’s are contained within the base, which also displays etched names of the deceased on one side and a poignant poem offered in remembrance on the other.